You've just bought "Top 10 Relationship Questions... Answered" Ebook - thank you! Success! 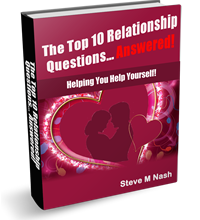 You've just purchased my "Top 10 Relationship Questions" Ebook, via Paypal - see download instructions on the right! Remember, if you are at all unhappy with your purchase you have up to 30 days to request a no-questions-asked refund! ...Now Buy My Quotes Book on Amazon! I've just written a book, and published it on Amazon! It contains daily empowering quotes (about you! ), and I think it's rather wonderful, rather marvelous!